Vancouver Whitecaps FC promote responsible drinking and positive fan behavior at BC Place. The Whitecaps FC Fan Code of Conduct and details of the Whitecaps FC alcohol management plan that appear below ensure that supporters have a safe and fun experience. Fans are encouraged to sing, cheer, and otherwise support their teams while remaining respectful and courteous to their fellow patrons, team stadium employees, and stadium property. Fans will not engage in disruptive behaviour, including foul, racial, obscene or abusive language or gestures towards, or in reference to a player, coach, referee, fan, media, or staff member. Fans will also not engage in fighting and are prohibited from throwing objects or attempting to enter the field. Those who engage in any of these actions may be removed immediately from the grounds and remanded to the proper authorities. Streamers are permitted in celebration in the designated time windows, when pre-arranged with the Whitecaps FC front office. Streamers may be thrown during goal celebrations, stoppage of play, pre-game, half-time, and post-game ceremonies, as long as there is no interference to the event. Streamers may not be thrown at players, officials, or staff. Supporters are never allowed to enter the opposing team’s supporter sections at any time. Fans will comply with requests from team and stadium staff regarding stadium operations and from local authorities regarding emergency response procedures. Fans will sit in their ticketed seats and show their tickets when requested. Specific sections are designated as standing areas for supporters. Although standing is allowed in Supporter sections, standing on chairs is not permitted. Fans will not smoke in any area of the stadium as it is a non-smoking facility. Fans will not exhibit any obscene, indecent, political or inciting messages on signs, clothing or other material. The stadium and Whitecaps FC reserve the right to pre-approve all banners, flags and drums prior to the event. These items are not permitted entry through the gates without approval. 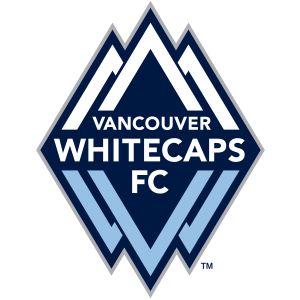 Whitecaps FC and the stadium, in conjunction with MLS, reserves the right to revoke any of these privileges if the Supporters do not cooperate in a respectful manner and abide by Whitecaps and stadium rules, regulations, or policies. There will be zero tolerance for the violation of any local, provincial or federal laws. If someone interferes with your enjoyment of a game, please contact a Fan Force Guest Relations staff for assistance. You can also receive assistance on match day by texting your location to ‘FORCE’ at 69050, emailing fanforce@bcplace.com, or calling the Fan Line at 604.661.3434. Alcohol policies are in place to ensure all guests have a great and memorable time during their visit. For those who would like to consume alcoholic beverages, they are available at concession stands throughout the venue, as well as portable beverage stands. Provincial liquor laws prohibit guests from bringing alcoholic beverages into the stadium, and the only alcohol permitted on the premises must be purchased and/or dispensed by authorized stadium servers. No guest will be served more than two alcoholic beverages at any given time. Alcohol beverage sales will stop at the 70 minute mark during Whitecaps matches. We are proud to offer fans Budweiser, the Official Beer of Vancouver Whitecaps FC, but encourage all fans to drink responsibly and consider all alternate modes of transportation available. In 2012 and 2013, B.C. Pavilion Corporation received TEAM Coalition training awards for their commitment to training employees in responsible alcohol management.